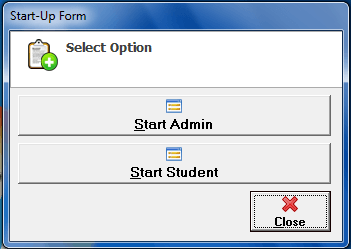 In opening the system, a pop-up window will appear to select the type of account you will use. First interface of the student to the system, after they swipe the barcode of their ID the number of it will appear and they can now encode their last name and first name, after that they are now registered to the system. The registered name will now be at the line-up list at the right side of the form. 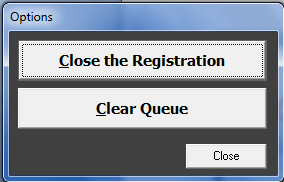 If the admin cannot occupy anymore the numbers of registered name at the line-up list, he/she can close the registration by clicking the Close the Registration button. 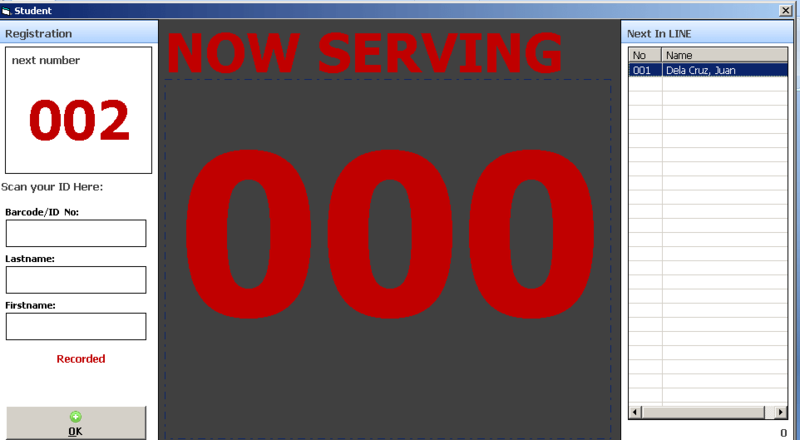 After he/she manages the registered names at the line-up, he/she can now clear the queue list of the system by clicking the Clear Queue button. If the admin are now ready to manage another line-up, he/she can now open the registration again by clicking the Open the Registration button. 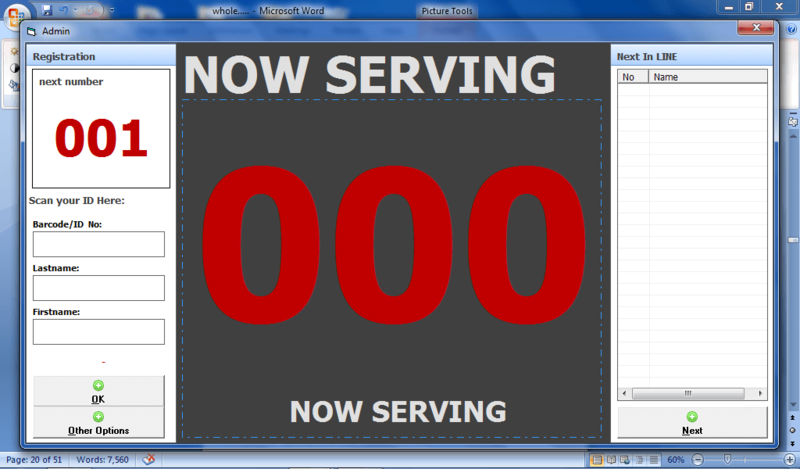 After operating the Other Options Menu, click the close button. The admin can log-out the system.